Musical tributes to Phyllis Hyman, Anita Baker, Tina Turner, Tina Marie, and many more. 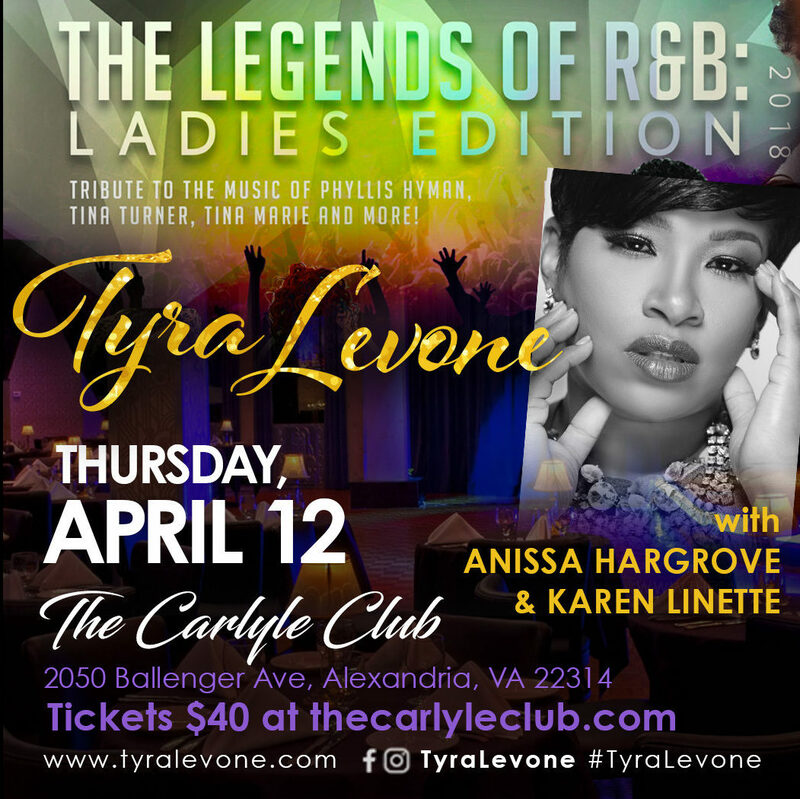 Vocalists include Tyra Levone, Anissa Hargrove, and Karen Linette. The event will sell out so get your tickets now! You will not want to miss a great night of R&B with local talent, and excellent food. Performace is on April 12 at 7:30p.m. Tickets are $40 in advance and $45 at the door.